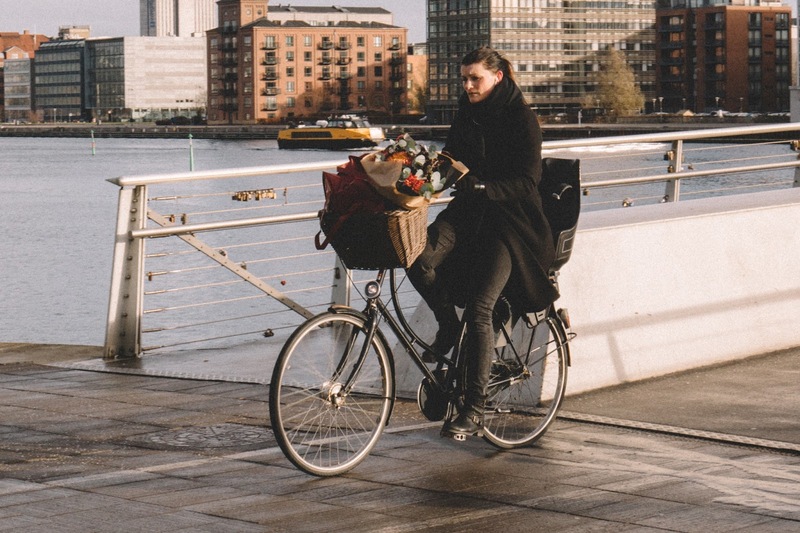 Cycle Chic®: Carry it with You, People! Carry it with You, People! Regarding to our previous blog post, here is a sequel with people carrying stuff. More casual, more understandable. For example, this lady above. Fitting her bag perfectly into her black basket. We all know how important and handy it is to have a every day bag that fits your basket!!! 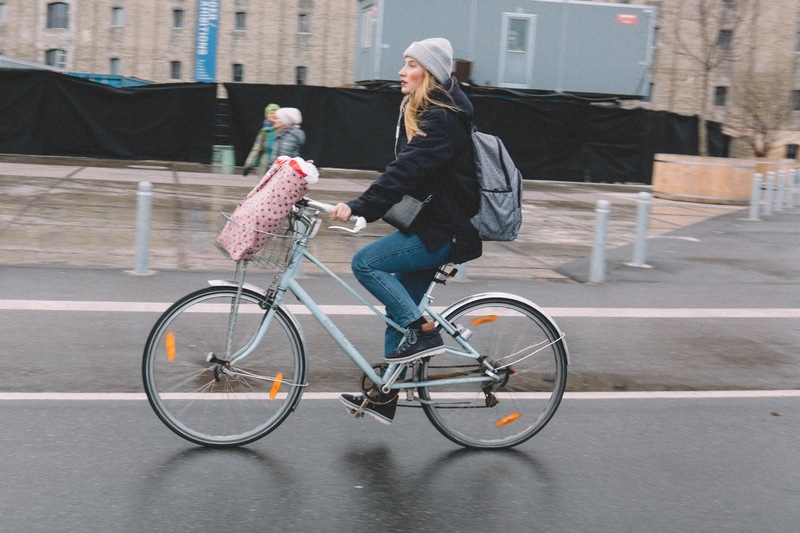 Her basket might not fit perfectly to her pink dotted bag, but it doesn't steal away attention from the sleekness of her bike. Moreover, she puts on backpack and crossover bag and still look flawless while rolling through the streets of Copenhagen. Red lips, blushed cheeks - look that kills!!!! Can you feel how the modern, urban transportation blends together in this picture? 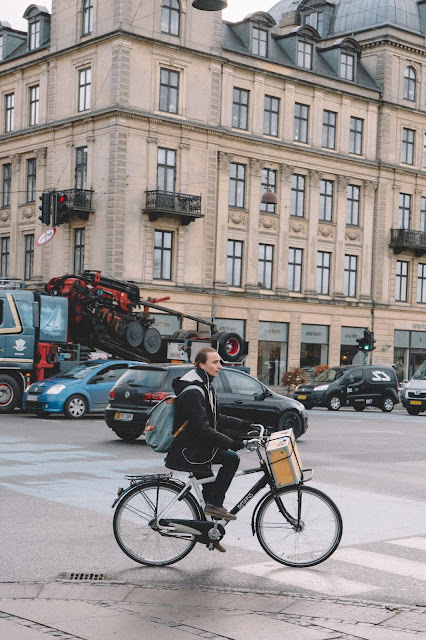 And still bicycle is the best choice for getting from A to B in our cities, because you can feel the human scale, you can feel the connectivity from person to person. Look at this guy. 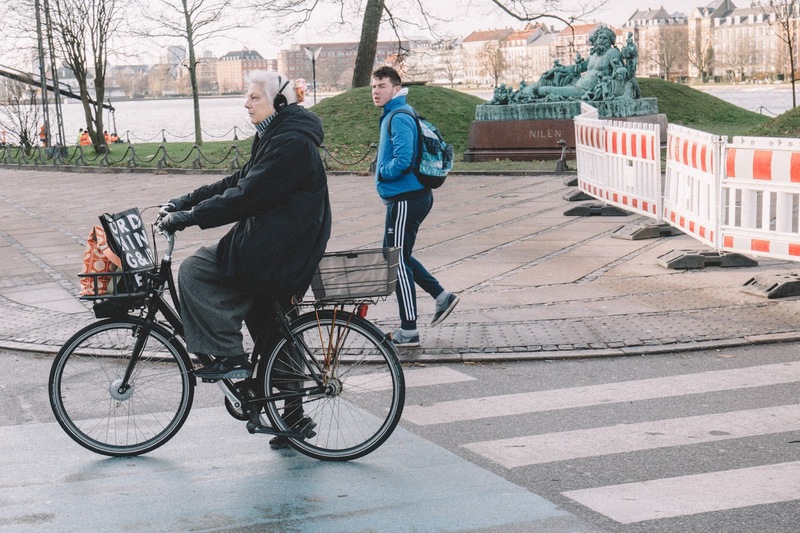 Music, your city, active lifestyle, backpack and box on the front rack. Everything is under control here! This lady is definitely used to carrying a lot of stuff with here... Why? Because she is already secured herself with two baskets just in case shopping went little bit out of control! Heading into the city with flowers and bag in the basket. 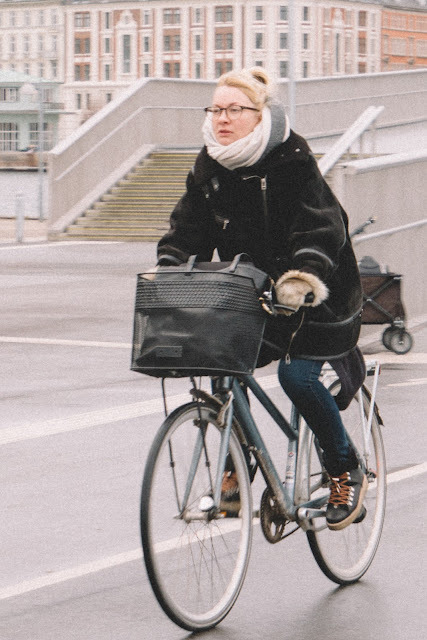 Want to create a cozy look for your bike and still carry everything with you like she does? Braided basket is your choice.